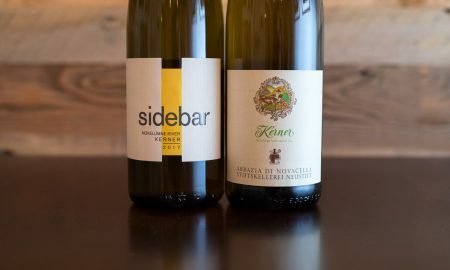 The fine wines from Sicily always seem to present something new to the palate, especially for someone like me, who finds it all too easy to settle into a comfort zone with Italian wine. 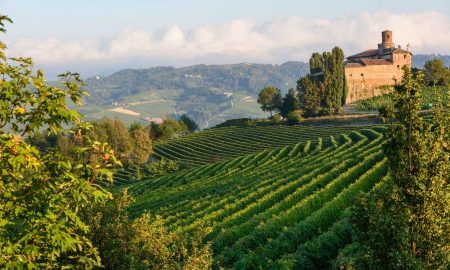 For all the excellent wines made in such regions as Piedmont, Veneto and Tuscany, I’ve found new sensations to be few and far between up north. These wines do what they do (and they do it very well) but once you’ve covered the basics, finding something new and surprising can become a genuine challenge. 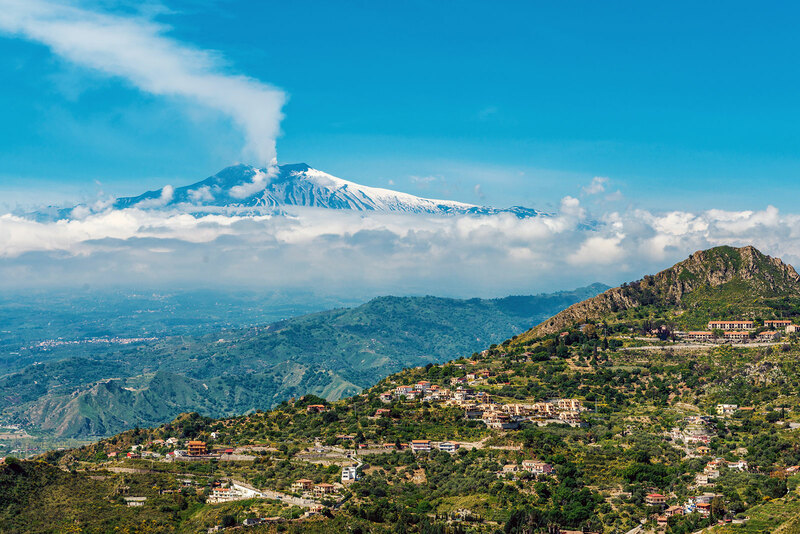 Sicilian wines are thrilling, and its not just me saying that. 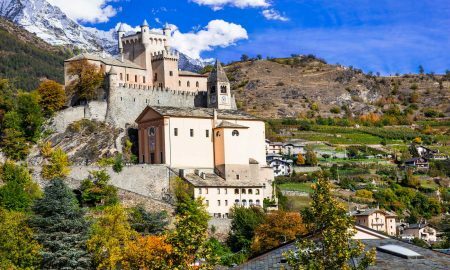 Across the wine world, people have been taking note — one of Europe’s oldest civilizations has a lot of new thinking when it comes to wine. Rather than rip out their unique, indigenous grapes in favor of Cabernet Sauvignon and Merlot, several winemakers have embraced them, and applied best practices for vinification — some old, some new — to dazzling results. 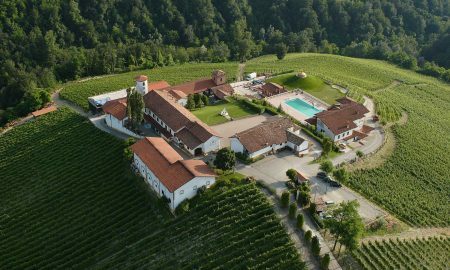 It takes several years, sometimes decades, to reverse the fortunes of a wine region. In the case of Sicily, I’ve personally witnessed the turnaround, even in the last 10 years. The reputation for Sicilian wine has done a dramatic turn-around in the last decade. 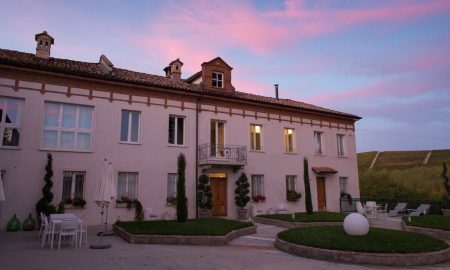 In 2005, I first visited Italy and became enamored with its wines. Upon return, it didn’t take long for my curiosity at the wine shop to venture south. But 10 years ago, a vast majority of the Sicilian wines available where I live were either off balance or simply forgettable. Whether this was a deliberate attempt by winemakers to tap into the popular (but quickly waning) flavor profile of powerhouse Australian Shiraz or not, I’m not sure. The results were mixed. 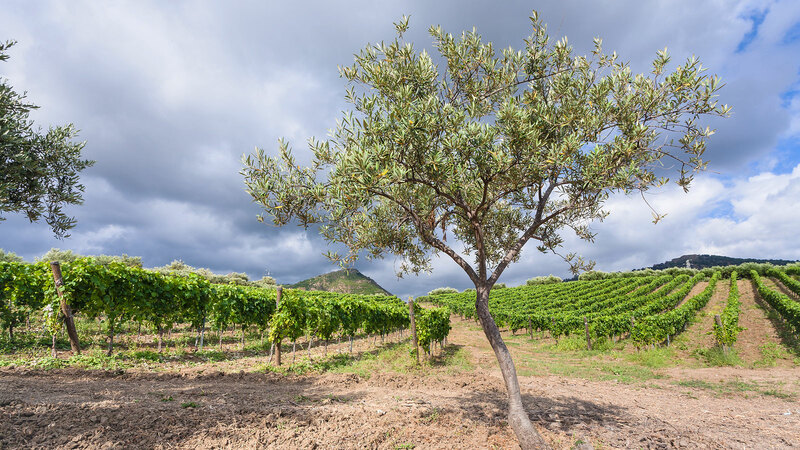 But it was during this time that a few enterprising winemakers — Azienda Agricola COS, Arianna Occhipinti, and Gulfi to name just a few — were quietly redirecting the trajectory of Sicilian wine. 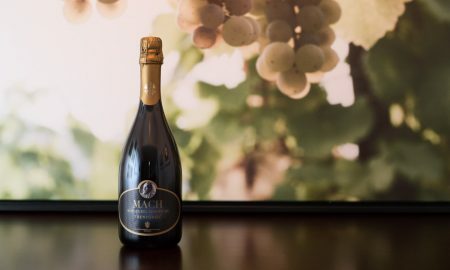 Much of this rebirth centered on grapes that had adapted to Sicily’s unique climate and volcanic soils: Nero d’Avola, Frappato, Nerello Mascalese, Carricante and Grecanico. Largely free from bureaucratic formulas and unchallenged tradition (Sicily had essentially been a bulk-wine factory for decades) these winemakers were free to tinker with blends and experiment with techniques. As spring has transitioned into summer, I’ve been deliberately focusing on Sicilian wines. Red or white, they match the season well, with a common thread of acidity that dares you to match unlikely food pairings on a whim. Turkey burgers? Seared tuna? Grilled shrimp? French fries? Seemingly everything I paired with these wines worked well, especially if it involved the grill. Sicilian red wines often have a sour-sweet or bitter-sweet tension that seems to perfectly play off the smoke-and-char elements of grilled foods. Of the 10 wines I sampled over the last three months, two emerged as upper echelon: the 2014 Azienda Agricola COS Nero di Lupo (★★★★★) and the 2015 Azienda Agricola Arianna Occhipinti SP68 Rosso (★★★★★). I find the wines of Azienda Agricola COS to be utterly challenging. They crisscross the palate with question marks. What is this? I’ve never had anything like this before. 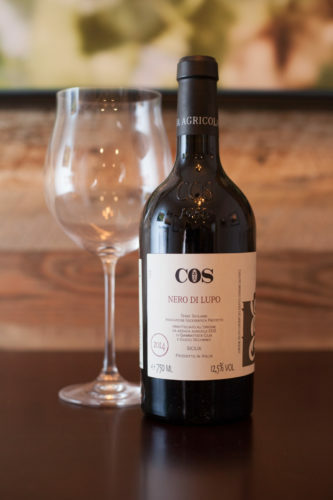 The Nero di Lupo caresses the senses with dark and elusive aromas: blackberries or prunes? Or is that blueberries? I had recollections of wildflowers and smoke, and ultimately, gave up on trying to pin the wine down. For me, it personally killed any association between Nero d’Avola and Aussie Shiraz. Aged in concrete tanks, it races across the palate with little coarseness. 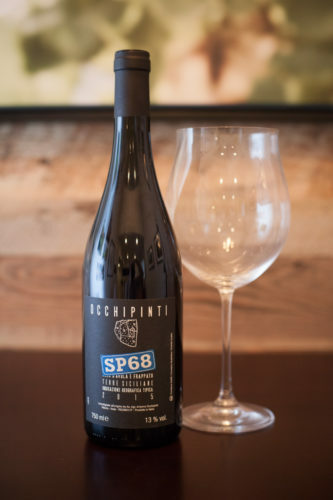 On the other end of the red-wine spectrum is Arianna Occhipinti’s gorgeous SP68 Rosso, a blend of predominantly Frappato (70%) with the remainder in Nero d’Avola. This will certainly end up on our Thanksgiving table later this year. Presenting that classic sour strawberry fruit profile from the Frappato, it quenched with a perfect amount of acidity. 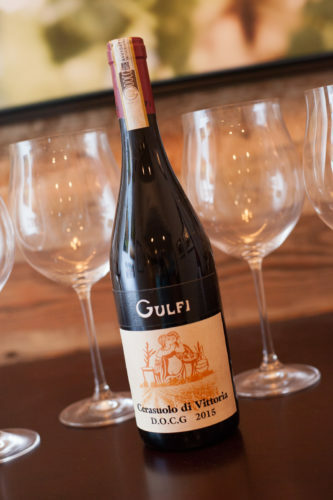 But there was also a depth to the wine — likely from the Nero d’Avola — that gave it a compelling complexity. 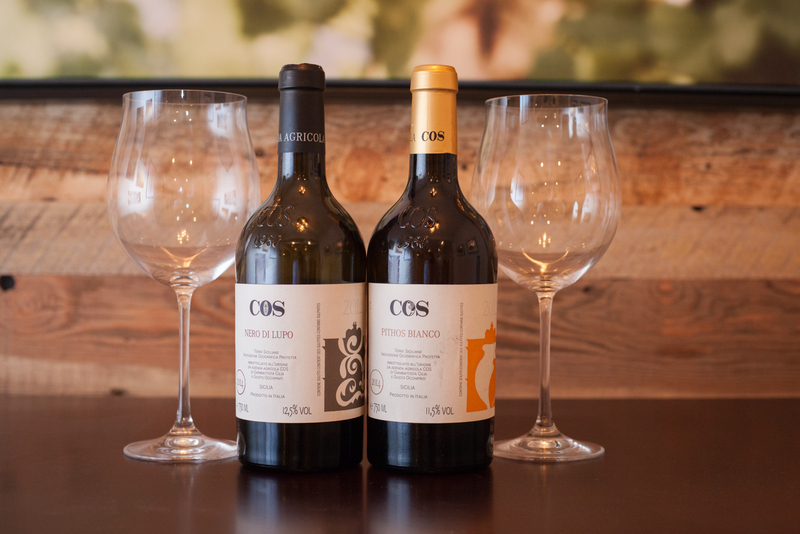 The SP68 Rosso was easily the most refined of these Sicilian wines. It was like a beautiful new song that you put on repeat. 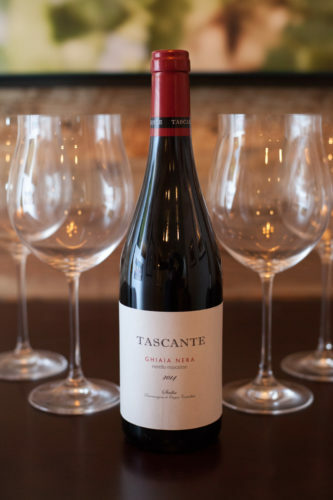 Other superb Sicilian reds worth a shout-out: the 2014 Tasca d’Almerita Tascante “Ghiaia Nera” Nerello Mascalese (a complete gastronomy wine with notes recalling cedar), the 2015 Planeta Cerasuolo di Vittoria (a go-to pizza wine if there ever was one) and the 2015 Gulfi Cerasuolo di Vittoria (complex yet refreshing, if a little short on the finish). On the white and rosé end of the spectrum, surprises continued. Once again, Azienda Agricola COS proved to be a sensory rollercoaster with their bottling of Pithos Bianco. Aged in clay amphora on the skins (which technically makes it an “orange wine”), this Grecanico wine (aka Garganega) is golden in color and completely unusual if you are new to amphora-aged wines. I found it to be funky at first, but ultimately it mellowed into a subtle, shape-shifting profile that reminded me of cherries, watermelons, apricots, lemon tea, roses and wax. That’s a lot of notes, and truthfully, I’m not sure its a wine for everyone; it seemed to be lacking a little zip. But I like a head-scratcher every now and then. 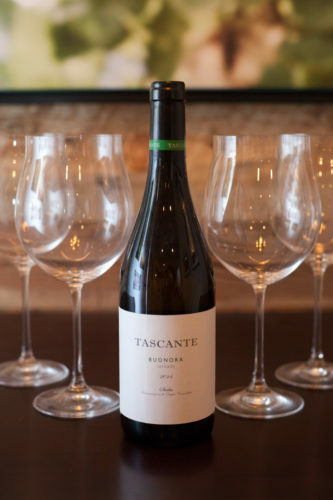 Perhaps a better crowd-pleaser would be the 2014 Tasca d’Almerita Tascante “Buonora” Carricante, which nicely balances its acidity with a subtle fruit profile of oranges. We partnered it with bucatini and peas, but it seems more appropriate as a summer sipper in the backyard. 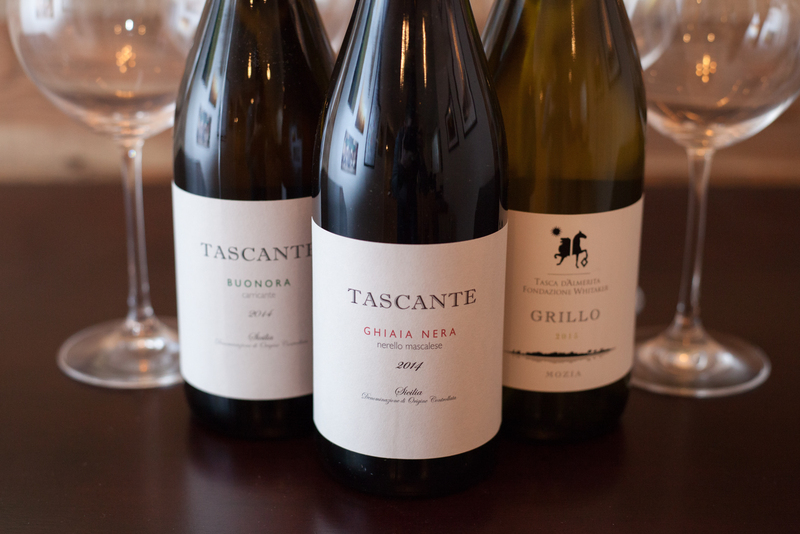 Those were just some of the highlights from these Sicily tastings. Check out my full reviews of all 10 wines below. Tasting notes: One of the best wines I have reviewed this year. Extraordinary, unique, complex and a bit elusive. Aromas recall black fruit (especially prune), blueberries, wildflowers and smoked meat, although this last note fades with a little air. Despite its dark color and deep fruit notes, the wine is surprisingly light, with hyperactive acidity which makes it a good gastronomy wine. If I had tasted it blind, I may have guessed it was a French wine due to its inherent balance of sweet and savory, with little bitterness. For a first taste, this wine was wild and compelling. Worthy of a second taste to see how it suits me. 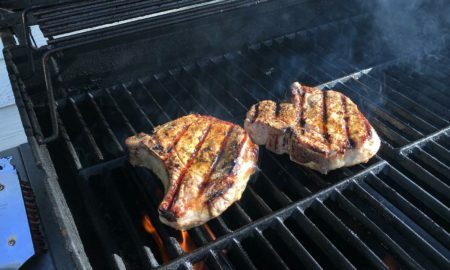 Recommended for: Grilled meats of any kind, or roasted pork loin with lots of herbs, the latter of which was ideal for our purposes. Tasting notes: One of the best wines we have sampled all year. Imagine if a Cru du Beaujolais and Barbera d’Asti got together and had a baby: it would walk and talk like this wine. Has the pure palate-pleasure and complex aromatics of the former, and the sour cherry notes and brilliant acidity of the latter. Aromas bring to mind sour cherry, ripe strawberry, vanilla bean and leather. 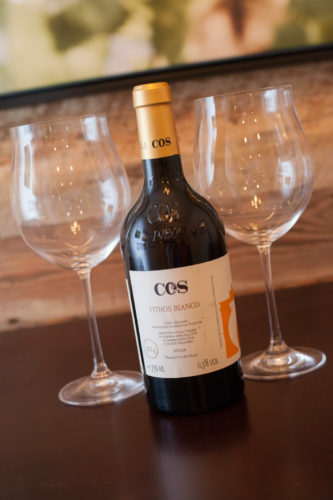 The most refined of the Sicilian wines listed here, with zero palate fatigue and a finish that only lasts as long as you can resist another sip. Recommended for: One of those wines that can get dressed up for a special occasion, or don flip-flops and party on the patio. Highly versatile. As for food pairings, we lucked out and pairing it with a saffron-infused tomato risotto from Blue Apron. Would have been even better with grilled shrimp. 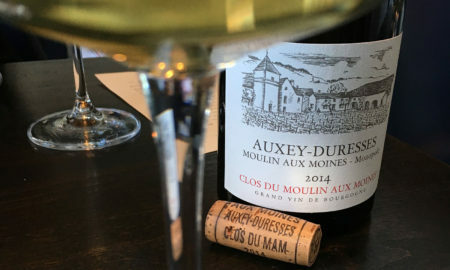 Tasting notes: The hallmark of a great “gastronomy wine” is not only its ability to improve with food, but its ability to improve the food as well. Such was the case with this Nerello Mascalese from Tascante. On its own, the wine conveyed aromas of bitter strawberry and cedar, with a palate that was sharp yet supple. What made it memorable was how sweet it became on the palate when paired with chicken meatballs in a Sicilian-style tomato sauce. True to Italian form, it was designed to complement the table rather than shine on its own. Recommended for: Tangy sauces where sweet vegetables can bring out the wine’s natural acidity and transform the experience into something special. (Translation: spaghetti marinara). 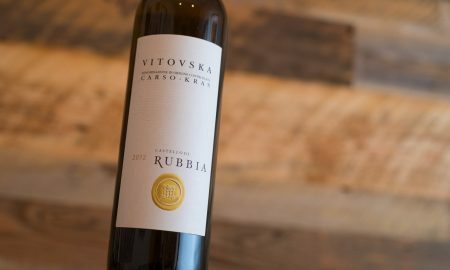 Tasting notes: An emblematic bottling of Cerasuolo di Vittoria, with aromas bringing to mind sour cherry, an earthy quality like button mushrooms and a little vanilla on the edges. Peppery on the palate, with superb acidity, very light tannin and a silky texture. Even better with a slight chill, making it a great summer wine. Has a long finish that conveys the sour cherry note strongly. Recommended for: Enhance the mushroom note with a fungi-bell-pepper-sausage pizza, pair it with lasagna, or uncork it to go with grilled shrimp and saffron rice. Tasting notes: In my notes for this wine, I wrote: “Ahhh, this is so good.” A very pretty, easy-drinking wine where Nero d’Avola’s darkness and Frappato’s lightness walk a tightrope together (although it would seem that Nero d’Avola is more noticeable). Either way, nicely balanced. Aromas recall violets, medium-ripe cherries, raspberry, vanilla and oak. Moderate acidity, low tannin and a subtle finish. I would recommend drinking this wine young and with a very slight chill. Recommended for: Seems to have the right complexion for tuna steak. Tasting notes: In all fairness, this wine might have reviewed a little better if I hadn’t opened it the night after we sampled the SP68 Rosso, which is simply a stellar wine. And it probably would have reviewed a little higher if it presented better on the second night. Aromas bring to mind sour strawberry and a little bit of musk. Has enough acidity to be food friendly, but the fruit wears a little thin after the wine has breathed for an hour. But a decently priced wine, and if you are looking for a wine to take down with a few friends (and little thought), it’ll pleasantly surprise. Recommended for: Fried tapas such as croquettes, simosas or artichokes; strikes me as a versatile party wine for glug-glug-glugging. Tasting notes: Well, this is a controversial wine. At first, I thought something was wrong with it: the color was so amber, I wondered if it had oxidized (it is just a skin-fermented white wine, aka an “orange wine”). Then, with the first impression, the aromas were so startling, my senses felt scrambled. But upon a second sip, what emerged was utterly beautiful. Damn, I thought. Aromas brought to mind medium-ripe cherry, watermelon, roses and a faint bit of wax. But then on the palate, it shifted gears into apricots, lemon tea and rosehips, with that watermelon note returning on the finish. Most unusual. Recommended for: Delicious with turkey burgers, roasted potatoes with a curry aioli, or better yet, serve it with dessert and see what happens. Tasting notes: At first blush, this Carricante seemed tame by Sicilian standards. 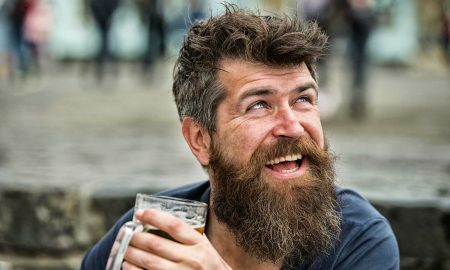 But after a few sips, I came to realize that it was hitting all the right buttons — and working overtime on quenching the palate with its refreshing acidity. Very light in color. Aromas bring to mind orange peel, almonds and acacia flowers. 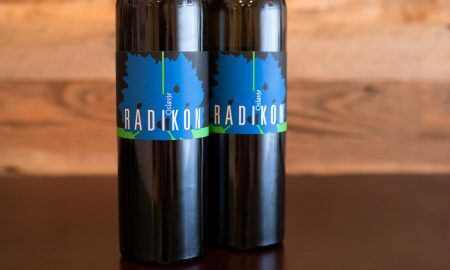 Sprightly and evenly balanced, this wine represents a solid value for the price. 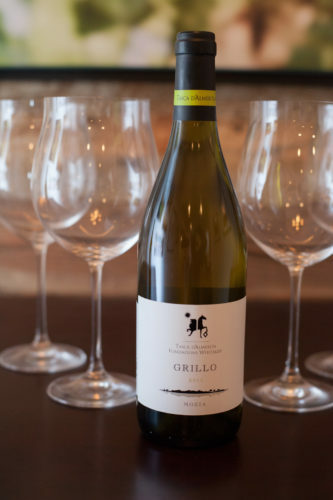 Recommended for: We partnered this wine with a simple pasta dish of bucatini, peas, prosciutto and herbs, but it would probably fair even better with grilled swordfish or salmon. Tasting notes: An excellent rosé, especially because it rides the balance between being complex (if you want) and easy to drink (if that’s all you are after). Striking raspberry color. Aromas are lightly lemony, and not all that surprising, but on the palate, it really shines with complex fruit — tart top notes of blood orange and grapefruit, bass notes of peach. There are also hints of cinnamon and baking spice in the depths. Pleasant finish. Recommended for: Given its playfulness and versatility, I’d recommend this wine with tapas. We enjoyed it over a light lunch of tapenade and crackers, and smoked salmon belly. 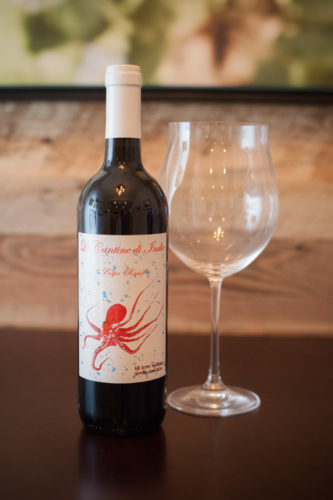 Tasting notes: This wine has a pale pewter color, and the aromas suggest a mixture of apples, limes and crabapple blossoms. Light and refreshing, but not overly tart. Pleasant on the palate, but left me searching for a little more to distinguish it. The name “Mozia” comes from the tiny island near Marsala where the grapes are grown. It’s surrounded by salt flats, and has a unique terroir even by Sicilian standards. Check out this video to see an aerial tour of the island. Recommended for: Spinach-ricotta stromboli or better yet, a hot batch of calamari. 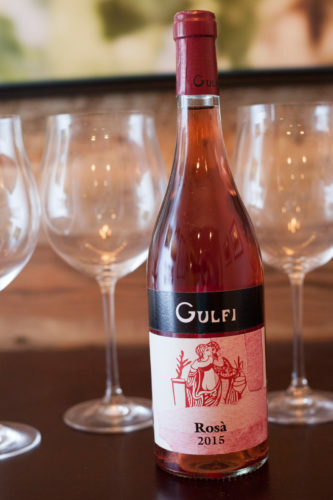 One of those wines that screams for salty flavors. 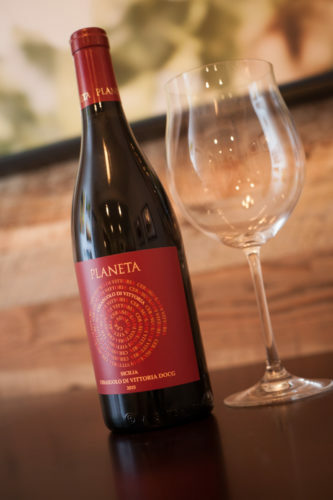 Note: A few of the wines featured in this story were provided as samples by their importer (Tasca d’Almerita Tascante and Planeta). Learn more about our editorial policy.